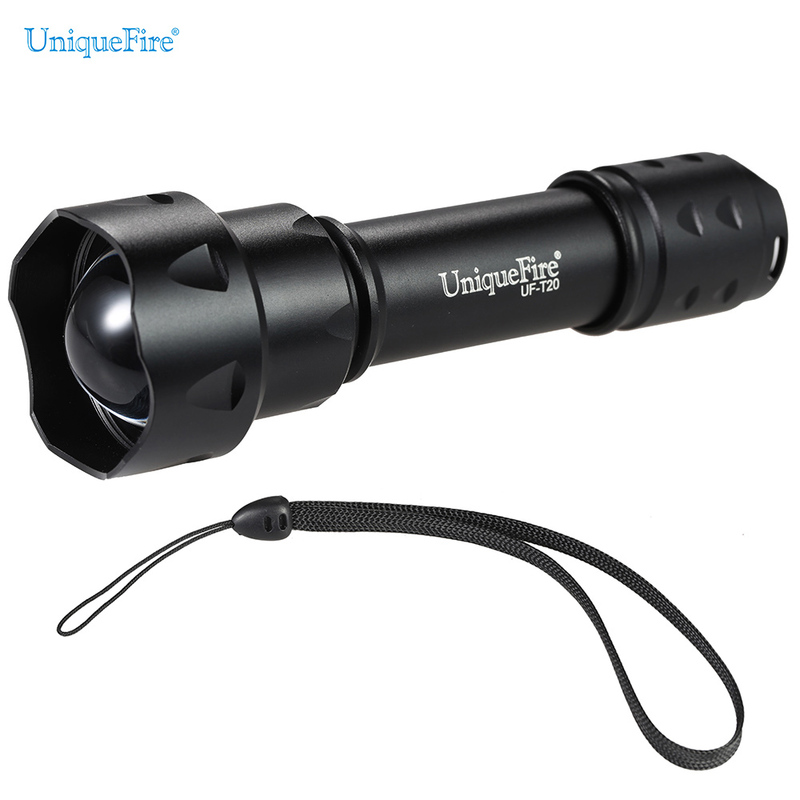 UniqueFire UF-T20 is a professional IR flashlight. 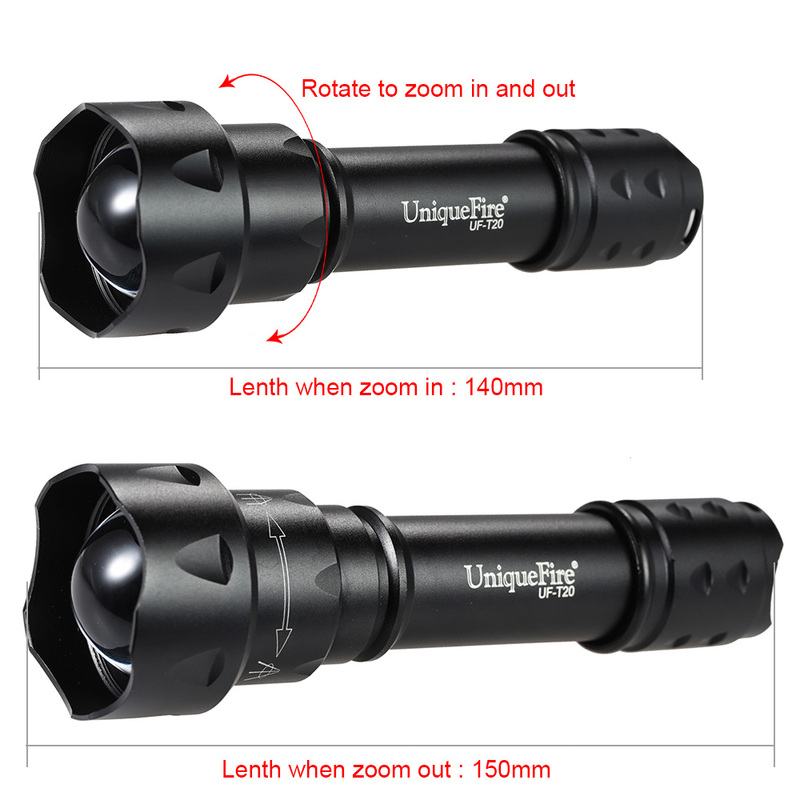 With its special design 38mm lens and durable aluminum alloy construction, it really perfect for night hunting. More importantly, you can adjust the focus and switch the modes of the lighting. 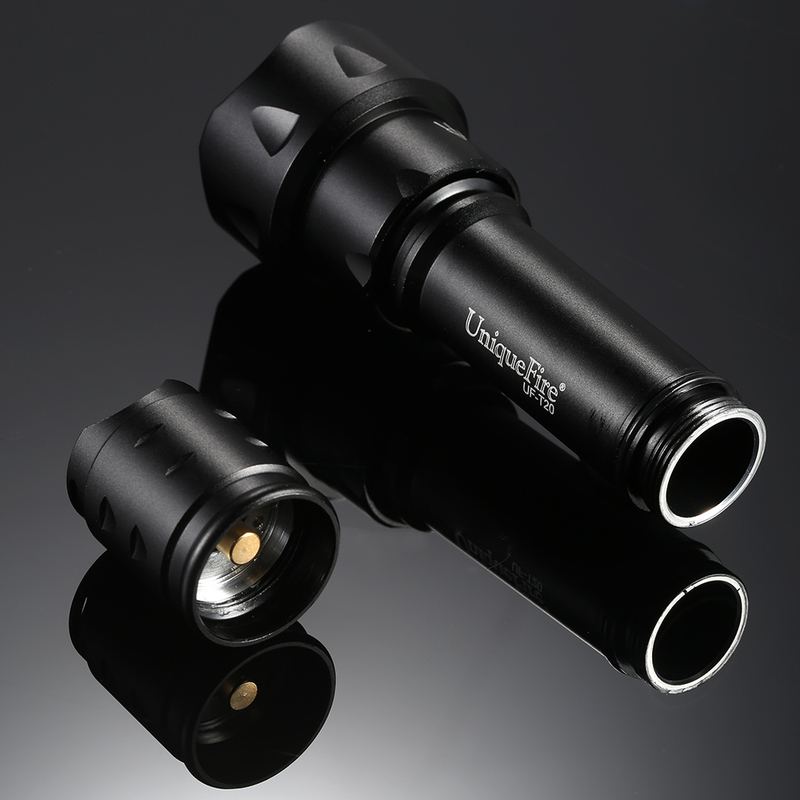 Adopts high-quality IR850 emitter, could be found by night vision devices, perfect for night hunters. 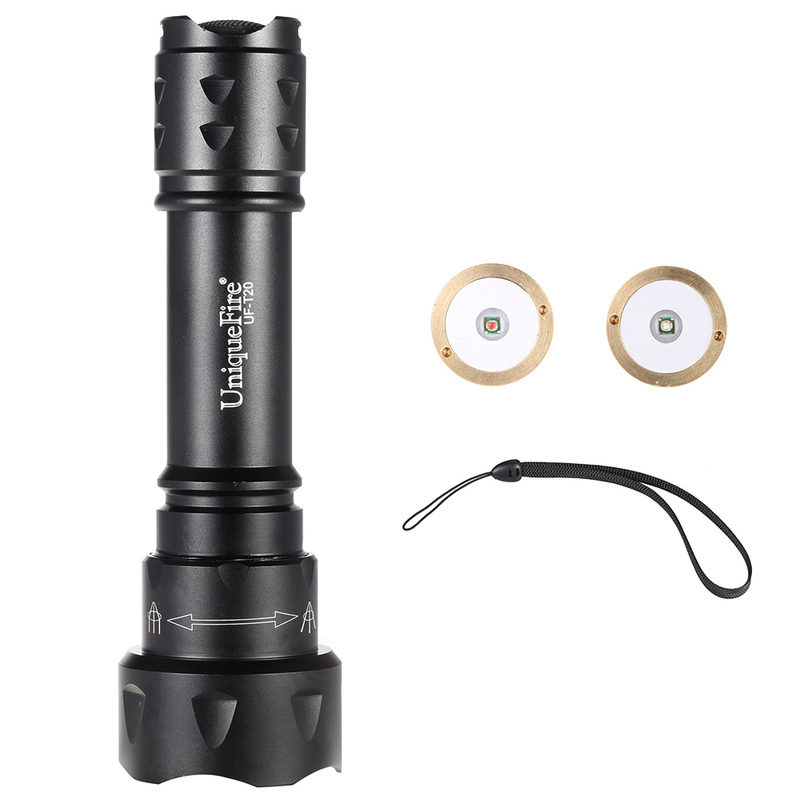 With “O” ring in the flashlight, it is rain-proof to some extent. Rotate to adjust the focus to get spotlight. 3 modes lighting: high-middle-low, half press to change the mode. 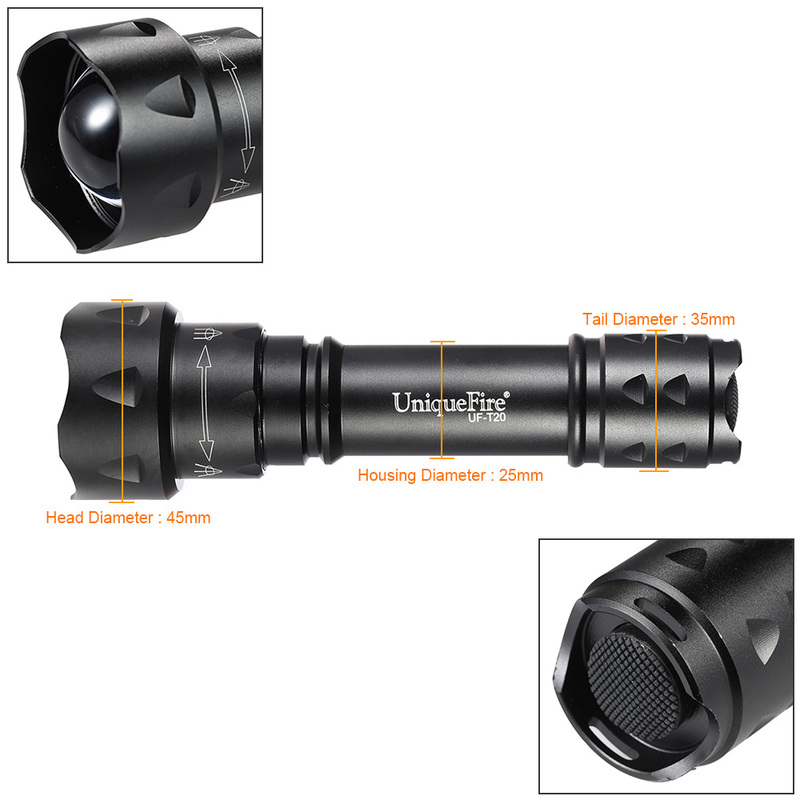 Only 150mm in length, portable and durable. 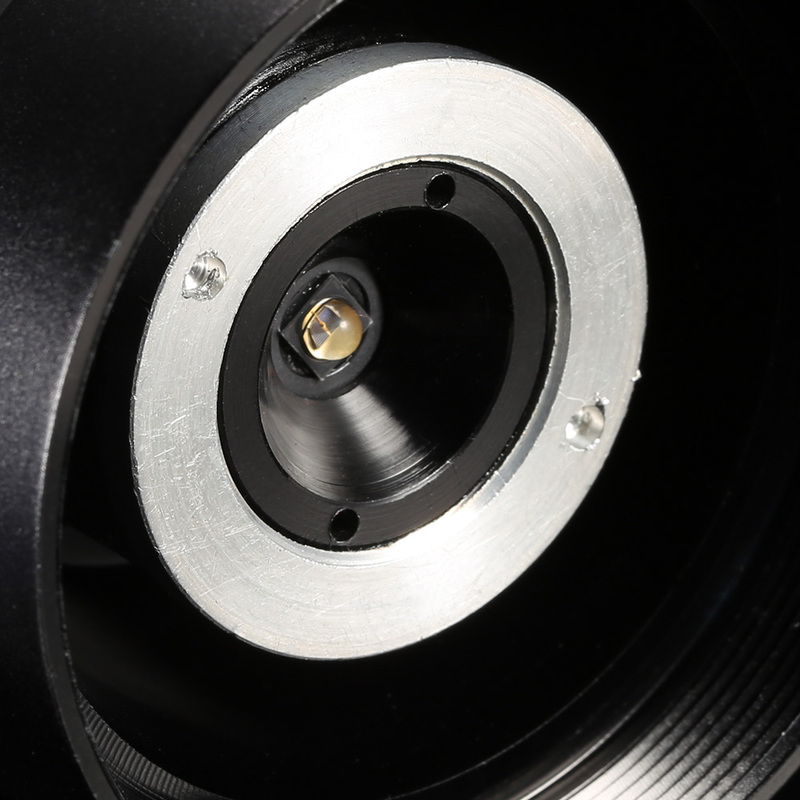 38mm lens reflector to help enhance the light output efficiency. 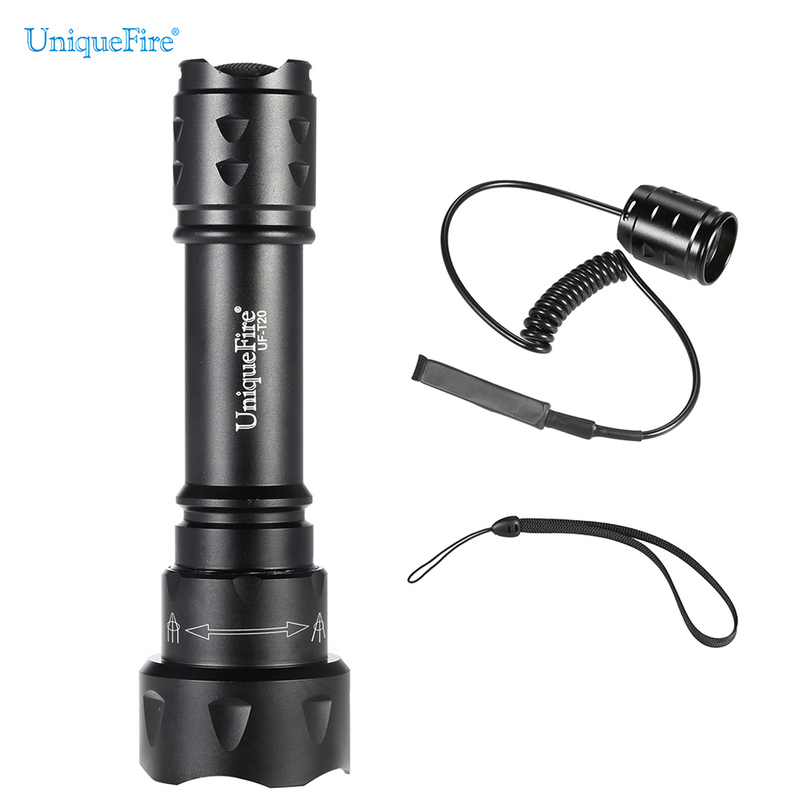 Constructed of aluminum alloy, hard-anodized finish. 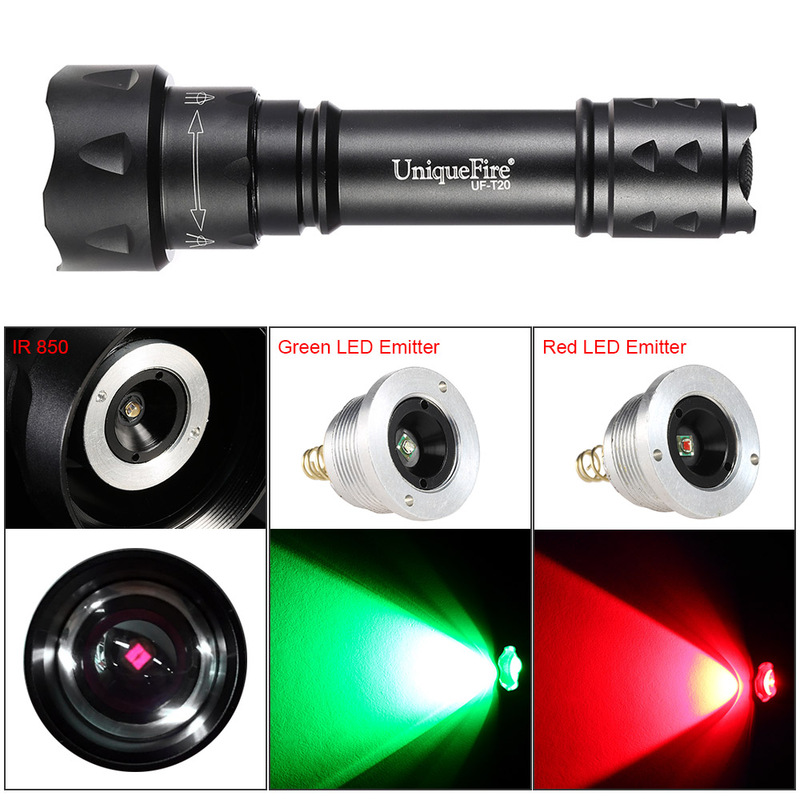 Equipped with one green and one red XPE LED emitter, illuminate green or red light, works with the flashlight. 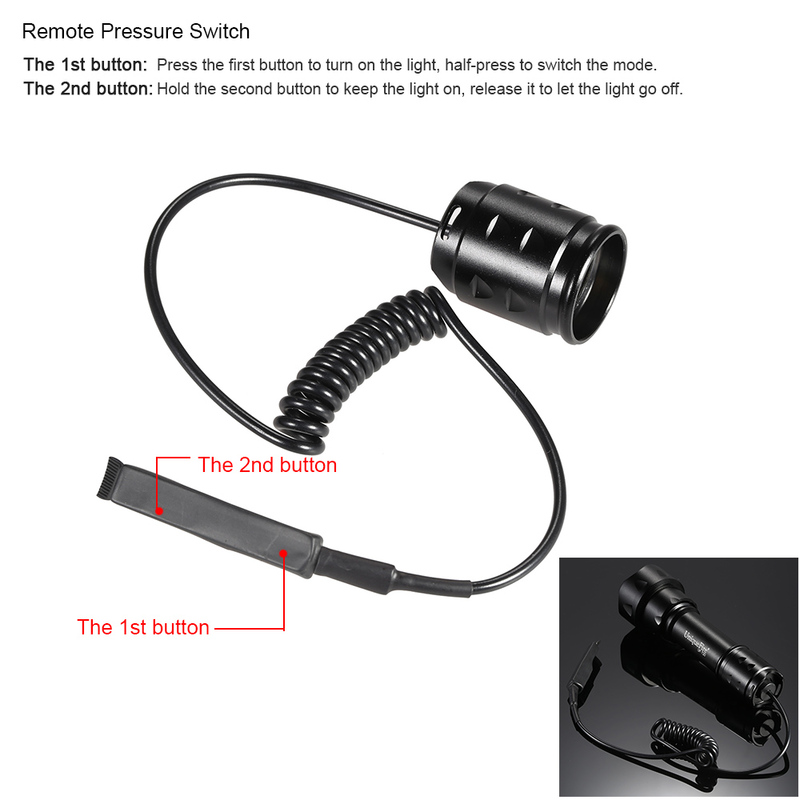 A remote pressure switch is included: press the first button to turn on the light, half-press to switch the mode; hold the second button to keep the light on, release it to let the light go off. 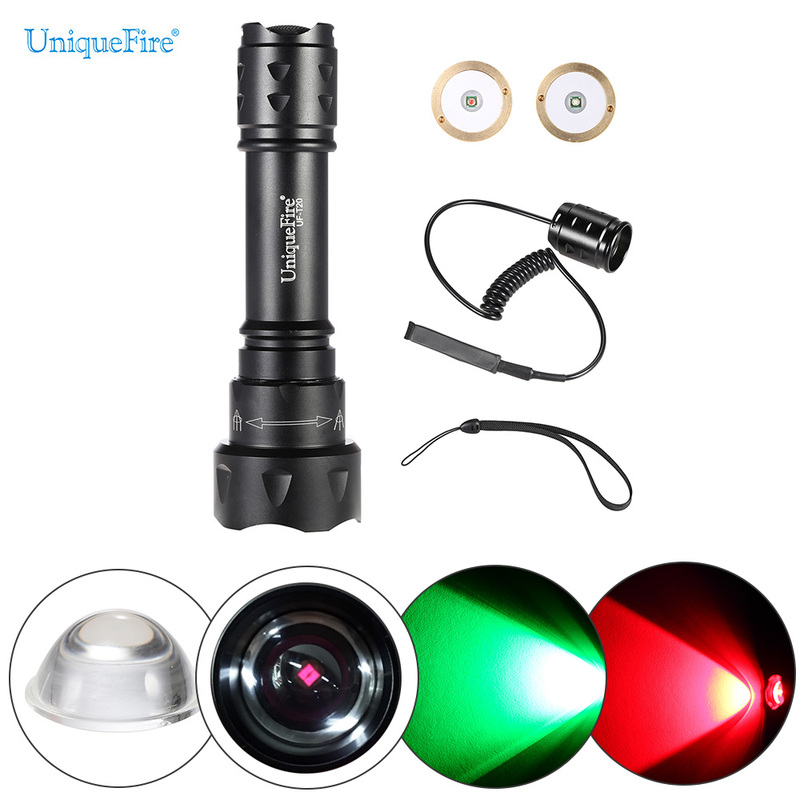 The 850nm IR cannot be found by our naked eyes. Water-resistant design, but don’t put it in water for a long time.